iOS 11 is equipped with the one-handed quicktype keyboard, it is time to get the comfort of one-handed typing back. Don't know how to use one-handed quicktype keyboard on iPhone in iOS 11? 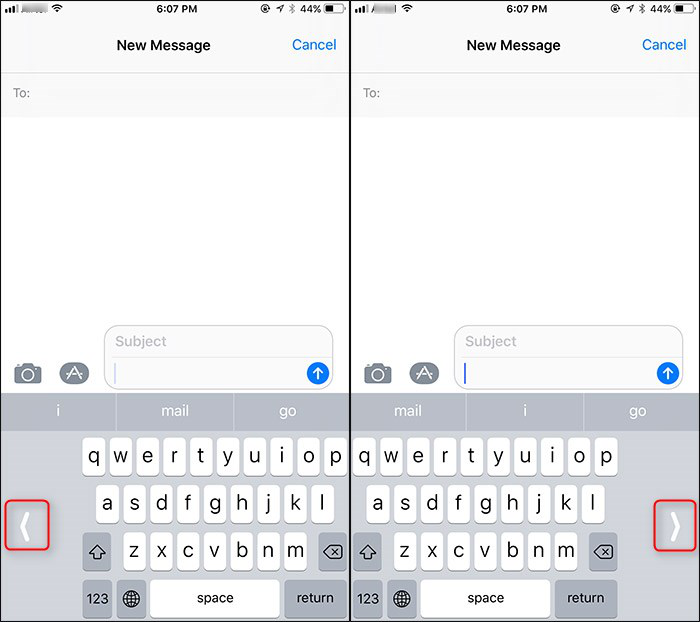 Read this guide and you will know how to enable and use one-handed quicktype keyboard on iPhone in iOS 11. PhoneRescue – iOS data recovery could help you recover lost data on iOS devices due to iOS update or mistake deletion. 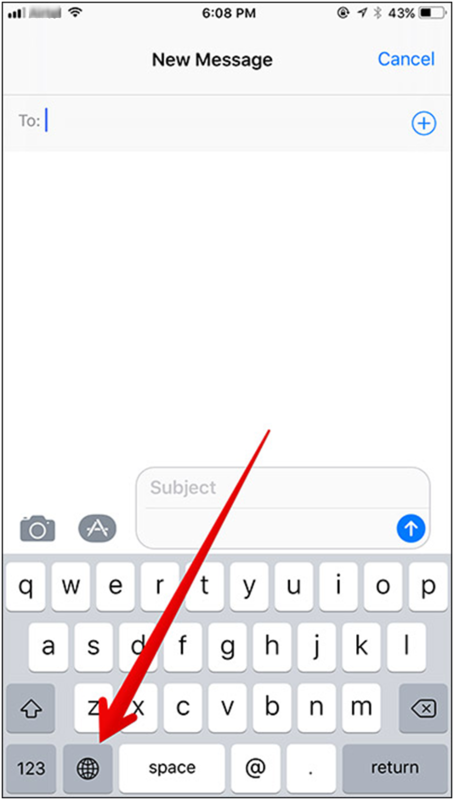 Please give it a try after reading this How to Use One-Handed quicktype Keyboard on iPhone in iOS 11 guide. From iPhone 4 to iPhone 7, we can tell that Apple is making iPhone screen bigger and bigger. Indeed, the bigger screen could provide users better video-watching experience, however, it takes away the comfort of one-handed typing. Fortunately, you can now get back the comfort of one-handed typing on iPhone. In iOS 11, one-handed quicktype keyboard is equipped. Whether you are left-handed or like to type with right hand, you can type in this mode quite smoothly. Please keep reading and find out how to enable and use one-handed quicktype keyboard on iPhone in iOS 11. Step 2. Tap and hold the International Keyboard button. Step 3. At the bottom of the menu, there are two new buttons (looks like tiny keyboards), you can enable the one-handed keyboard mode by tapping one of the two buttons. If you want to type with your right hand, please tap the button on your right, if you want to type with your left hand, please tap the button on your left instead. 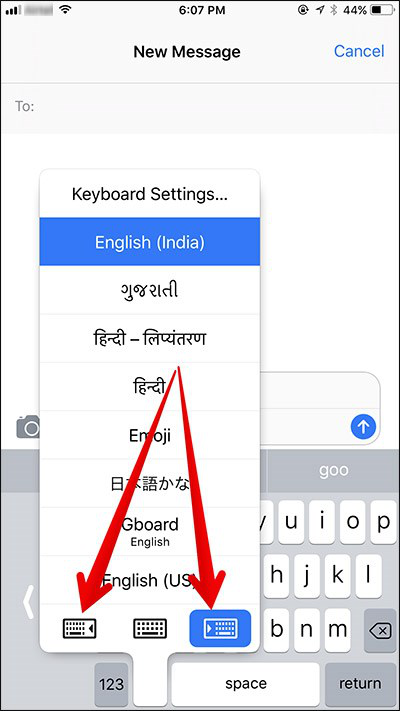 Now, your keyboard is adjusted to one-handed keyboard mode, if you want to disable the one-handed keyboard mode, please tap the arrow on either side of the keyboard. There are more new features in iOS 11 in Messages app, like hide alerts function, customizable app drawer, person-to-person payments. Please refer to other pages to know more. That's all for how to enable and use one-handed Quicktype keyboard in iOS 11 on iPhone. What do you think of this mode? Please share your ideas in the comment column. If you think this post helpful, please share it with others.